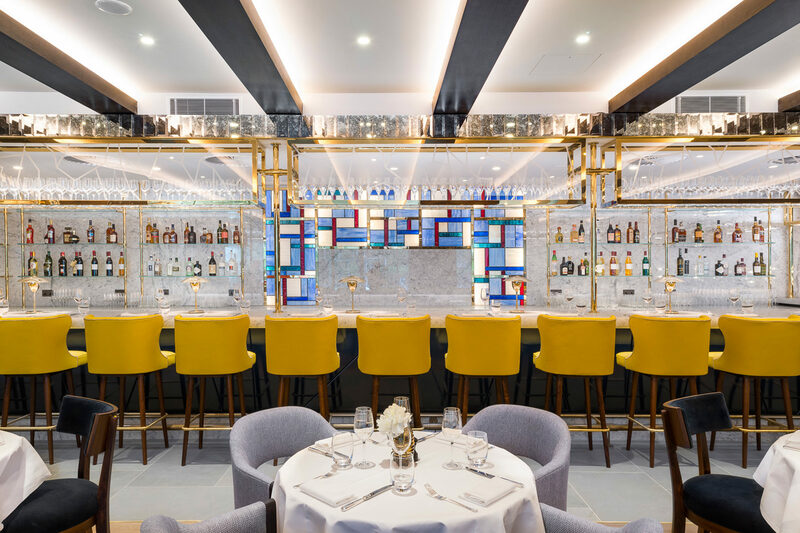 This week’s instalment of the #SBIDinspire interior design series features Devonshire Club, a sophisticated and opulently feminine interpretation of a private members’ club set in the illustrious heart of the U.K, which has been imaginatively conceived by March & White’s creative London-based design team. When commissioned to create Devonshire Club in the heart of The City of London, the design team eschewed the clichés of masculinity that are almost mandatory in the culture of private members’ club. 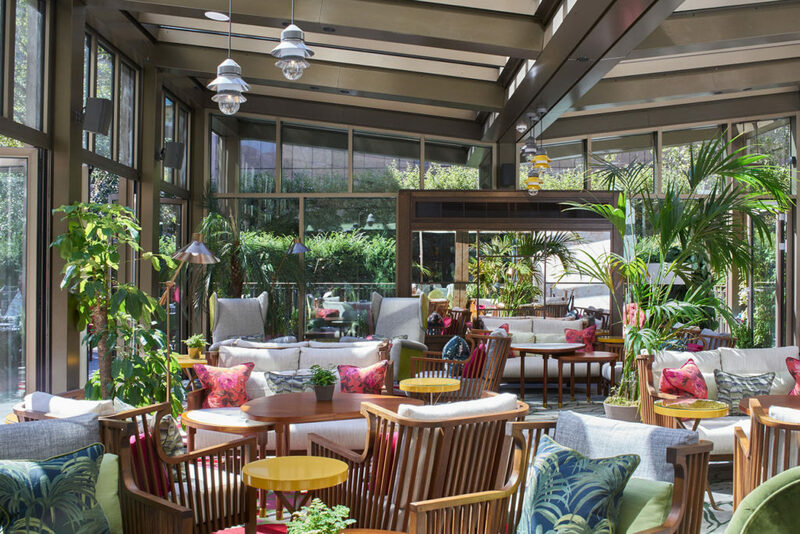 Opting instead for a confident, feminine and creative muse, they composed a place that feels invigorating, exciting and chic. 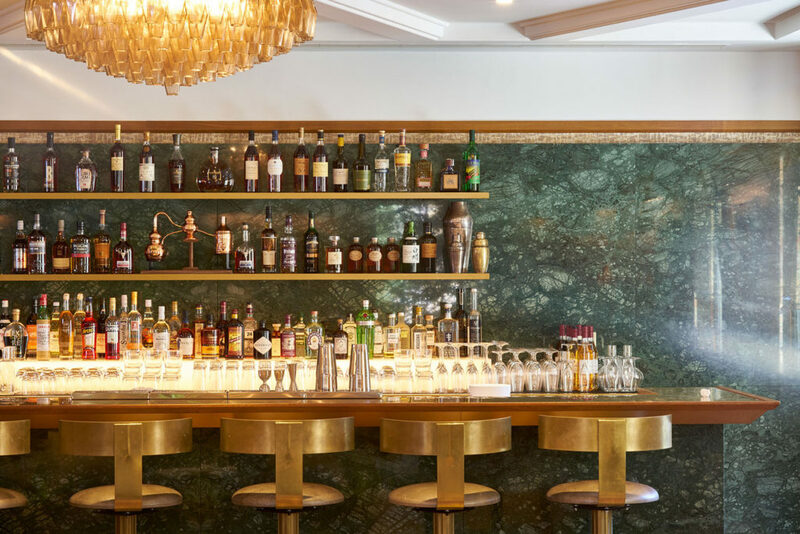 Devonshire Club’s interior has been developed through the layering of mid-century influence. A 1950s-inspired architectural base is layered with the softer femininity of fashion design, incorporating its glamorous pattern, texture and colour. This process has successively produced a unique series of spaces, each with their own character yet subtly connected to the next. 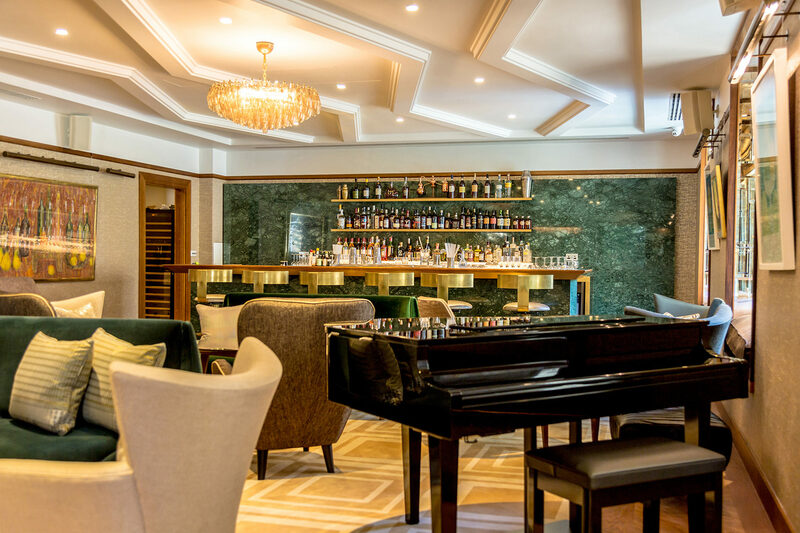 Our clients philosophy for Devonshire Club was to create an elegant interior design scheme for an iconic members’ club and hotel destination for London’s city elite; a glamorous and subtly feminine space which confidently speaks of creativity and sophistication. Devonshire Club’s interior was developed through the layering of mid-century influence. We created a 50’s inspired architectural base and layered this with the softer femininity of fashion design, incorporating its glamorous pattern, texture and colour. This process enabled us to successively produce a unique series of spaces each with their own character yet subtly connected to the next. We passionately studied the instinctive elegance of Italian design heritage. 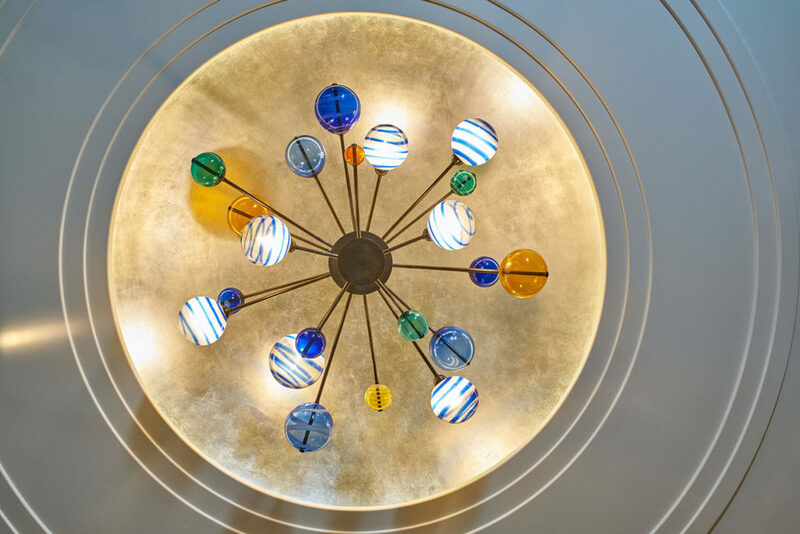 From Gio Ponti’s breath-taking pattern work, the purity of Carlo Scapa’s detailing and through to the beautiful intricate moulded ceilings of Milan’s Villa Necchi. These timeless signifiers of sophisticated elegance inspired us as we composed an interior which is entirely unique and fresh. 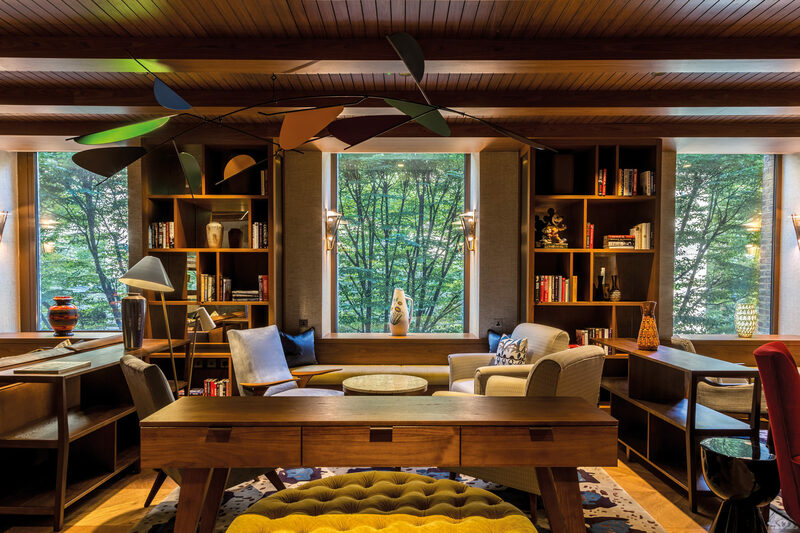 A private members club has a complex purpose and by adding to this 70 hotel suites above for the use of members, the logistics, functionality and performance for the Club as a whole required scientific analysis. Aesthetically, each room, each space of the club, needed to have a sense of the unique whilst being an episode in a larger, entire, piece. We very much enjoyed the challenge of bringing these elements together, so much so that with the thrill of seeing and experiencing the result of the process, any challenges seem to fade. As always there are many, many highlights to an interior design project of this scale and status but a few in particular would have to include the commitment to bespoke craft throughout the Club which makes it truly unique and defines the March & White signature. We worked closely with the Italian textile house Nattier, developing bespoke rugs, fabrics and wallcoverings, involving exhaustive rounds of sampling to ensure the perfect outcome for the Club. We also worked with the exceptional Murano glass specialists Seguso, who helped us create the incredible and totally bespoke chandelier for the Club’s reception entrance. Both of these processes produced amazing and rewarding results. We very much admire the work of SBID and would feel honoured to receive one of their awards. 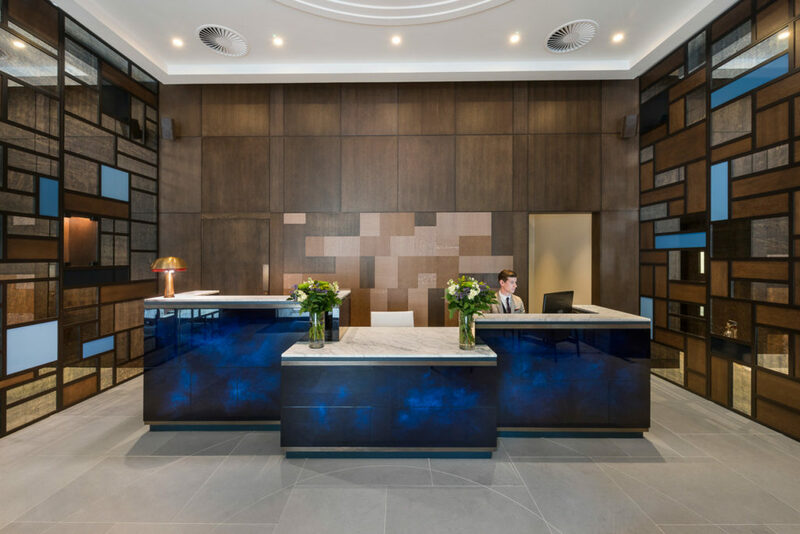 We are also very proud of our design for Devonshire Club and feel SBID is the perfect place to showcase our work at the Club. Questions answered by Harriet Liley, Senior Interior Designer at March & White.